In California, you can take legal action if you have been harmed by a defective product. Your best bet is to consult with a skilled product liability attorney to discuss your case. Each claim is unique and can be complicated. 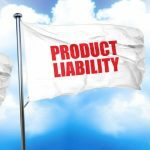 Plaintiffs must prove that the product was the cause of their injury. This can be done through several types of defective product liability claims. 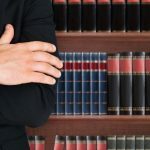 Here is a summary of each type of liability claim that you would find in a California lawsuit. This type of defect occurs before the product is ever manufactured. The fault is in the design itself. The product may be considered to be defective in design using two different tests. The product caused or significantly contributed to the harm. The second test is called the risk – benefit test. Using this test, the plaintiff needs to prove that the product caused the injury. In turn, the defendant must prove that the benefits of the product design outweighed the risk or danger of the design. A manufacturing defect simply means that the defect occurred when the product was produced or assembled. When a manufacturing defect occurs, it can potentially impact a few or many of the products made. No matter the number of units affected, the manufacturer is still liable. Whether the defect was negligent or not, the manufacturer can still be held responsible for the harm that is caused as a result. Sometimes, a manufacturer or other party in the supply chain will fail to provide proper warnings or instructions for using the product. If this failure to provide adequate instructions or warnings results in an injury, then the responsible party can be held accountable. This also includes instances where the product was advertised for a purpose that it was not suitable. Who Can Be Held Liable For Injuries? A seasoned attorney can help you determine if you have a valid product liability claim. They will assess your situation to discover the kind of defective product liability that applies to your case. 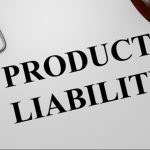 A trusted attorney will take the pressure off of you and fight for your rights in your product liability case. 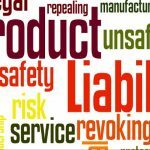 Consult with a product liability lawyer today to discuss your legal options.